Game developers often take inspiration for their video games from a variety of sources. 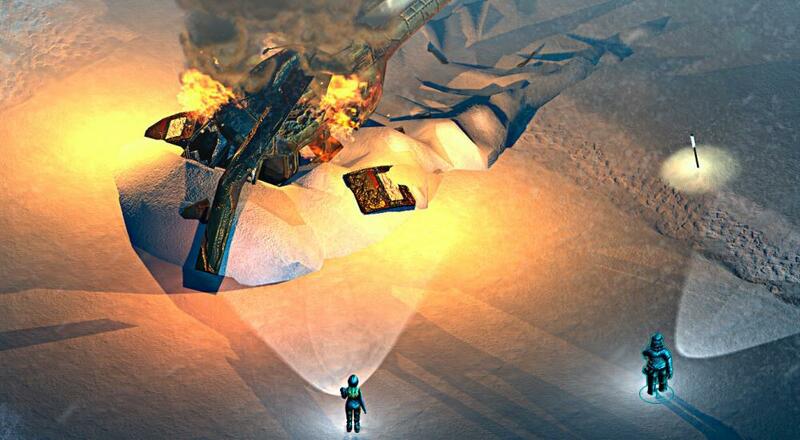 In the case of Cheerdealers, who are based out of Siberia, they used not only their real-life experience in a harsh environment, but also the paranoia and horror of John Carpenter's "The Thing" as inspiration for their co-op title, Distrust. We did our best to make it as far as possible, but, uh, let's just say none of us are "survival experts." I brought this up a couple times during the stream (a recap of which can be found below), but Distrust isn't like many of the survival games to which you're accustomed (such as Don't Starve or ARK). The title feels like it has more in common with board games, such as Dead of Winter or Mansions of Madness, as your primary goal is to scavenge an area for supplies and keep pushing forward, rather than gathering things to build other things. It relies heavily upon the push/pull mechanics of moving forward, and feeling like you have enough stuff to keep your three status bars (Warmth, Stamina [tiredness], and Satiety [hunger]) from dropping so low that you begin to lose health and suffer from a variety of mental affects. Those mental affects impact what you see and hear, leading to situations where you can't be sure if that food you picked up is spoiled or not, or if something in the environment actually needs to be repaired/fixed (which will waste supplies you need). It's not an easy game and bringing some friends along allows you to make better use of each character, as each second counts and having a character standing around doing nothing feels like a waste. While it's a bummer that all of the character unlocks can only be done in single-player and there do appear to be some stability issues when it comes to co-op, it's worth noting that the co-op feature was only added in the past month so here's hoping future fixes/updates are on the way to address these things. Also, disconnects aren't fun, but the devs have made it pretty easy to get the game going again as once the host continues it on their end, the Steam invites to join the game automatically get sent to your co-op buddies. Distrust is available on PC via Steam for $11.99. It supports three player online co-op in the main game mode. Page created in 0.9716 seconds.